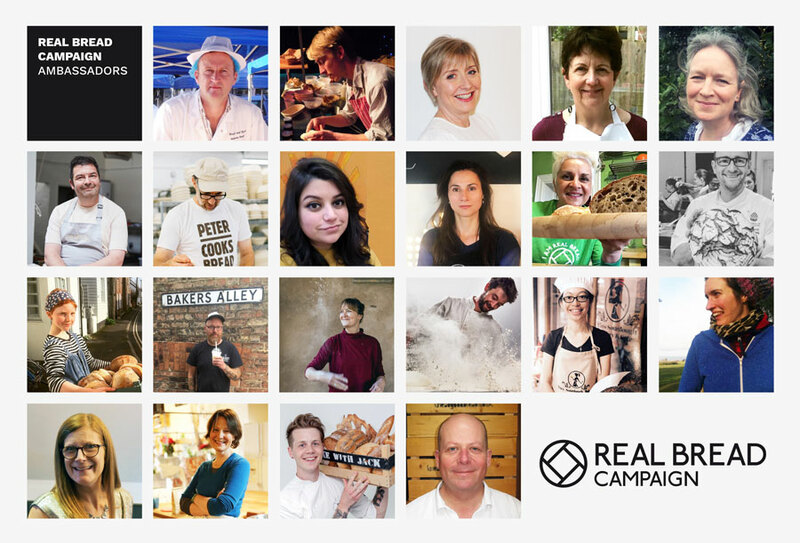 The Real Bread Campaign encourages everyone in our international supporter network not only to champion Real Bread, but also to promote the values and work of the Campaign. In spring 2019, we asked our supporters who amongst them would make great official ambassadors. Twenty one of the nominees were selected, giving a glimpse at the diversity of people in our network and their work with Real Bread. Clare Barton is owner and head baker at the The Bakehouse at 124, an award winning artisan bakery in Tonbridge, Kent. Madeleine (Dilly) Boase bakes and eats bread like a champion, as well as talking, teaching and dreaming about it. A National Bakery School dropout (“in protest at the proliferation of crap pap”) Dilly is an advocate of independent shops, co-ops, community-minded businesses, and creates recipes for low-cost, low waste cooking. Jo Bottrill is the founder of Jo's Loaves, a microbakery in Great Offley near Hitchin in Hertfordshire. She started baking as a hobby in 2011 and now supplies sourdough to restaurants, cafés, farm shops and farmers’ markets. Wayne Caddy is the owner of The Essential Baker consultancy, with over 30 years as a bread head specialising in the art of fermentation, training and innovation. He is also head of baking at The School of Artisan Food, a non-profit organisation in Nottinghamshire. Duncan Glendinning is the owner and head baker of Thoughtful Bakery, an award-winning bakery, café and baking school in Bath. Co-author of Bread Revolution, he is also no stranger to your TV sets with appearances on series such as The Victorian Bakers and The Big Bread Experiment. Sonya Hundal is the owner of Greenfield Bakers, a small wood-fired bakery in rural Lincolnshire that uses stoneground organic flour from a local windmill and has been successfully burning things since 2008. Ben Mackinnon quit his career in sustainability and in 2011 launched E5 Bakehouse, 'in a spruced up railway arch beneath London Fields station.’ Today, Ben oversees three arches housing the organic bakery, stone mill, café and shop; and work including bakery training for refugees. Ameena Nur is the owner of Jeju's Bakehouse, a microbakery based in Maybole, South Ayrshire. She folds love into every loaf and strives to bake the world a better place. Jack Sturgess AKA Bake with Jack is a professional chef turned bread maker, demonstrator and educator. Jack has been teaching bread making around and beyond Surrey since 2012 via private and public courses, food festival demonstrations, and his YouTube channel and blog. Kitty Tait is the teenaged co-owner of The Orange Bakery in Watlington, Oxfordshire, working with her dad to serve up sourdough bread to their local community. She’s passionate about making Real Bread available to everyone. Helen Underwood is the owner of White Cottage Baking School near Cambridge. A former baker, she now teaches bread-making in the UK and Europe. She champions local millers and her work emphasises the importance of provenance and sustainability. Ian Waterland established his Knead Good Bread microbakery in Leicestershire in 2014. He also teaches breaducation and bread therapy in a variety of settings and advises new microbakery start-ups. Ambassadors will be reviewed every 2-5 years, when nominations for the next batch will be announced. We thank our previous official Campaign ambassadors for their continued support: Richard Bertinet, Aidan Chapman, Emmanuel Hadjiandreou, Tom Herbert and Campaign co-founder Andrew Whitley.